Rev. 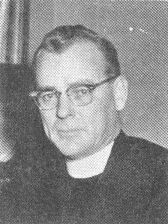 John P. O’Brien, CSV, died on Monday, April 2, 1973 in his home at the Viatorian Villa, McHenry, Illinois. He was 63. Fr. O’Brien, a professor of biological sciences for 20 years, was in the 42nd year of his religious profession and the 35th year of his priesthood. 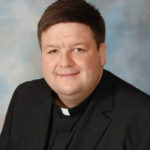 He had taught at DePaul University, Mercy College, Gannon College and Marquette University. The wake service was held at 8 p.m. on Tuesday, April 3, 1973 at Theis Funeral Home in Chicago. The funeral Mass of concelebration took place at St. Viator Church, Chicago, on Wednesday, April 4, 1973 at 11 a.m. Fr. Eugene Lutz, CSV, gave the homily and Bishop Michael Dempsey, representing Cardinal Cody, presided and gave the final commendation. Interment took place at Queen of Heaven Cemetery in Hillside, Illinois. Fr. O’Brien is survived by one sister, Mrs. Virginia Hurley. Kindly remember the soul of Fr. O’Brien in your Masses and prayers.